Kyle Mackulak serves as a key client advisor of the medical real estate team at Matthews™, he focuses on the acquisition and disposition of investment healthcare properties nationwide. Kyle has worked throughout the industry serving a number of private clients large and small, developers, private equity funds, institutions, and REITs. 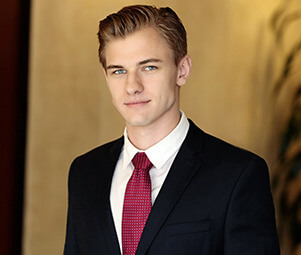 His success has been found using a combination of extensive market knowledge, strong work ethic, experience, and professionalism, along with utilizing the ties he has formed in the industry. Kyle’s passion and drive for success make him an invaluable aid in improving his clients’ investment positions and have helped him define his achievements as a broker.